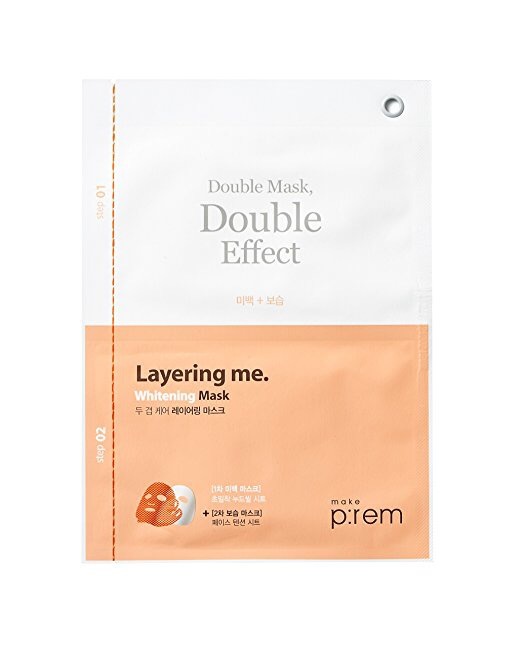 The Make P:rem Layering Me Whitening Mask is a mask that involves wearing two layers of sheet masks at the same time. Each layer is drenched in different essences. The double effect of this mask is to brighten your skin complexion and provide long lasting hydration. 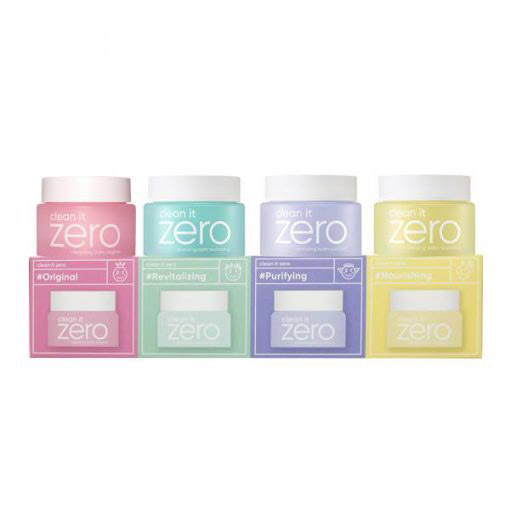 The first step is a soft, thin mask made of environmentally friendly fabric (natural cellulose), giving it the ability to hold active ingredients longer. The second step is a thicker, hydrating mask that shapes around the face and chin comfortably, looping around the ears. This outer mask holds both layers in place and also provides a physical lift and firmness to your jawline. If you purchase this product you will earn 10-70 Points! This double effect whitening mask uses Niacinamide, Vitamin C, Licorice Root and Blueberry Extract as the active ingredients in the Step 1 mask. This first mask will brighten, strengthen and clear your skin. The Step 2 mask is placed over the first mask. It contains Glacier Water and Hyaluronic Acid which penetrates through to the first sheet mask and provides long lasting hydration. Vitamin C – a natural ingredient that also acts as an antioxidant and gentle exfoliant. It lightens dark spots, dull skin, sun damage and pigmentation, minimises the appearance of pores, reduces acne scarring and enhances suppleness. Niacinamide – aka Vitamin B3. This ingredient boosts collagen production, strengthens skin and improves moisture retention. It also accelerates skin cell turnover, resulting in younger, healthier skin. Licorice Root – a plant root used to even out skin tone and diminish dark spots and blemishes. Blueberry Extract – rich in antioxidants and Vitamin C, making it a great anti-ageing ingredient for any skin type. It will protect the skin against free radicals and UV rays. It also helps prevent wrinkles and pigmentation. Glacier Water – naturally filtered water originating from pristine environments that is also mineral rich, helps to calm inflammations and balances your skin’s pH levels. After cleansing and toner, carefully remove the Step 1 mask from its packaging and unfold. Carefully remove the Step 2 mask from its packaging, unfold and place on top of the Step 1 mask. Loop the first set of ear hoops around your ears and then wrap your chin with the bottom of the mask and loop second set of ear hoops. Remove the mask after 20 minutes and pat the remaining essence into your skin.